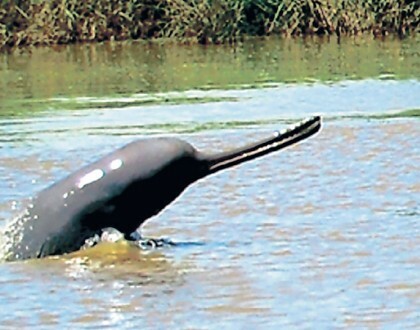 On Sunday, September 18th, the Himalayan Times published news, which states that “No dolphins were recorded in Karnali, Geruwa and Narayani rivers” of Nepal during an integrated dolphin census conducted by the government of Nepal, in collaboration with the National Trust of Nature Conservation and the International Union for Conservation of Nature. Here is the link of news for reference. 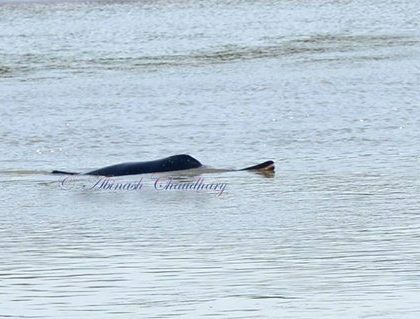 Having worked for Ganges river dolphin research and conservation in this region for four years, we thought we should clarify our views regarding this news. Our research shows that the Karnali and Geruwa has a small population of 6-8 dolphins (Khanal et al. 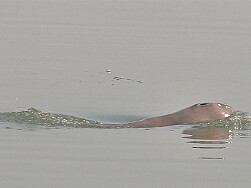 in revison ), and even other rivers such as the Narayani have a population of 2-3 animals, as recorded by Paudel et al. 2015. 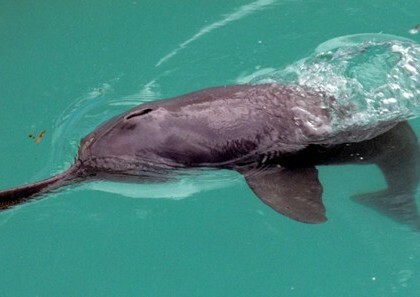 The census team doesn’t record any dolphins in the Karnali, Geruwa & Narayarni. However at least in this news, they have not specified how they accounted for imperfect detection of river dolphins, which is a possibility of not recording dolphins even they were there, and any observer related errors. Without clearly specifying and evaluating methodological strength involved, it would be mistake to conclude that there are no dolphins in these rivers. The Deputy Director General Dr. Maheshwar Dhakal at DNPWC has also clarified in the news that “dolphins were not recorded in Narayani, Geruwa, and Karnali rivers because the water current in these rivers is strong during the monsoons”. He has further stated, “Although the census was a success, the season was not right to conduct the census”. In this regard, supporting the quote by Deputy Director General, we request general public, conservation enthusiast & scientists not to interpret the news as if dolphins are no longer available in these rivers. We were also wondering how the survey team addressed the possibility of double counting of same dolphins in the Mohana River as this has not been mentioned in the news. Is the survey they conducted really a comprehensive census or just sampling? This also needs to be clearly justified because to be a census, the survey method should include all possible habitats for survey. We request all those concerned to be cautious while making any inference from this news. This is because the survey methods used for this survey (shore-based synchronised counting, boat based counting, key informant interviews, local consultation, and social survey methods) are not robust enough to account for imperfect detection, double counting and observer related errors. We urge the census team to clearly acknowledge the strength (if they have addressed aforementioned sources of bias) & limitations of the methodology they followed while making inference from their data, as the publication of such news could spark controversy and mislead conservation efforts. Although the news may seem trivial, it makes a huge positive/negative impact in the wider scientific community who keenly follow the population status of river dolphins in Nepal, where they are highly threatened.